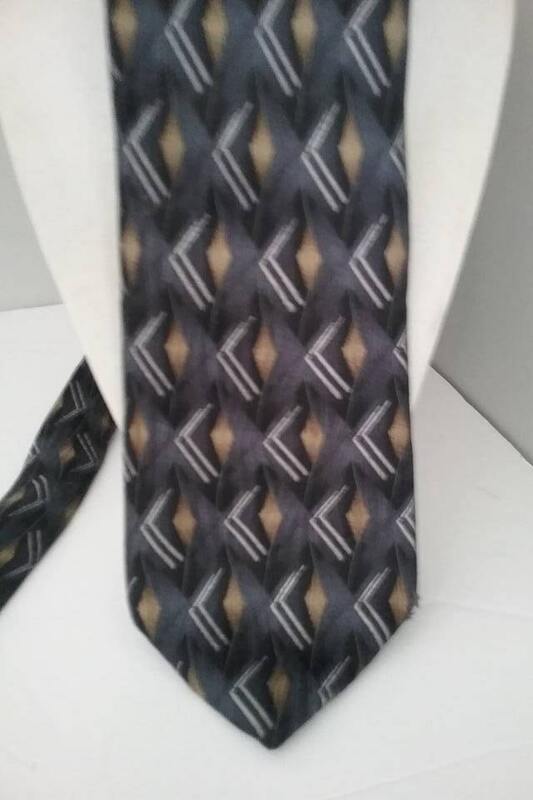 1990's Men's Silk Tie, Designer Gianfranco Ruffin, Italian. 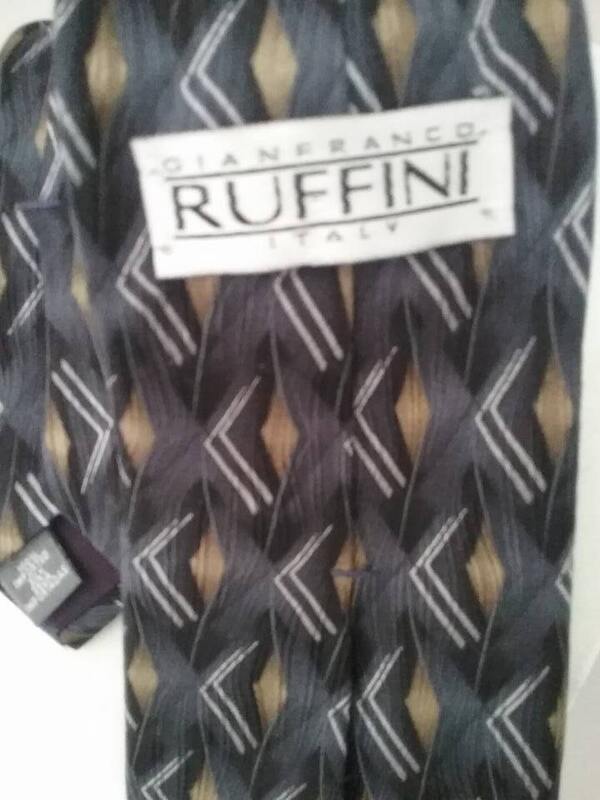 Retro Gianfranco Ruffin, 100% Silk Tie, made in Italy. 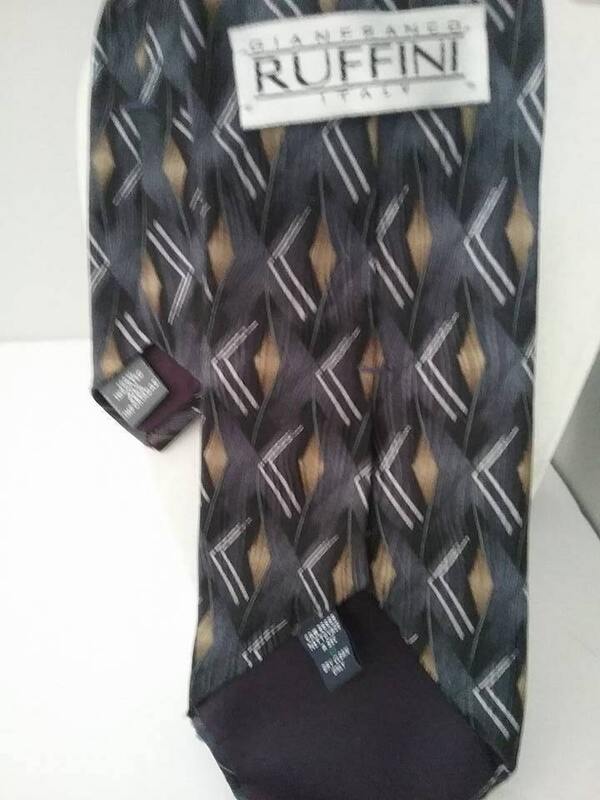 Gorgeous geometric blacks, browns and silver are conveying an intriguing look. 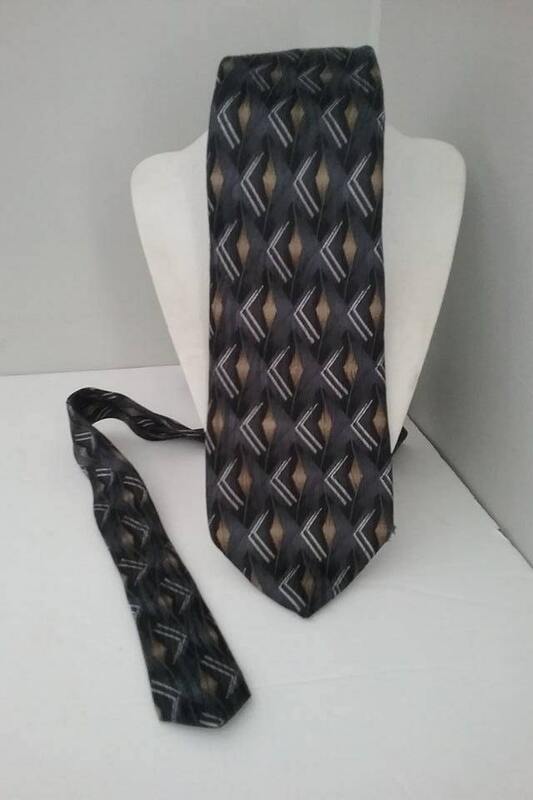 Tie one on! 3.8" at widest, and approx 58" length.